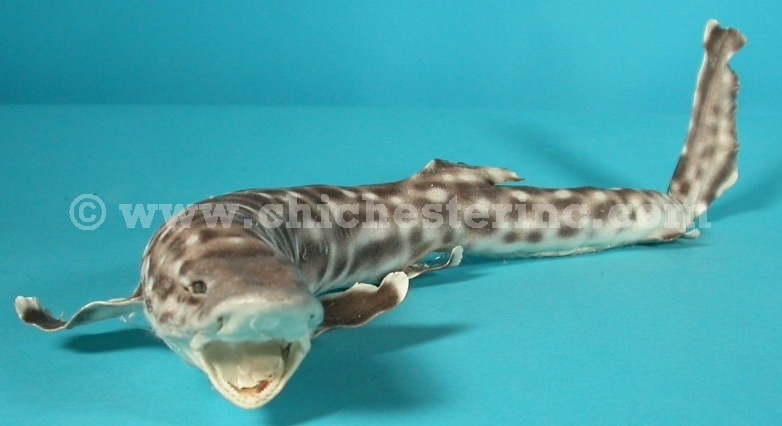 We now offer Taxidermy Leopard Sharks. They vary between 19" and 25" (48 and 63.5 cm) in length. These sharks are not mounted and have a mix of brown, gray and white coloring. Each weighs approximately 4.3 ounces (123 grams). Genus and species: Triakis semifasciata. Wild. These sharks are not an endangered species. These cannot be exported outside of the United States. Click HERE for other shark products.